Learn how and why Staking Tomatoes can improve the health of your tomato plants and help you to have a bumper harvest! Certainly, staking tomatoes is the most important thing. 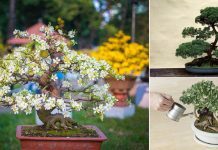 It’s very beneficial and undoubtedly far better than letting the foliage sprawl on the ground. Tomatoes need to be staked or caged to produce their best crop. The chief purpose of staking a plant is to keep it elevated. Unstaked tomato plants don’t get enough sunlight and air circulation and leaves remain wet due to overhead watering. 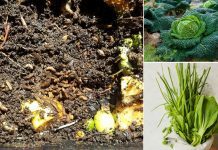 They rot and get plagued easily due to the constant contact with the damp soil, as the moisture and the bugs present on the ground lead to disease of the leaves and fruits. Consider staking as mandatory, especially for indeterminate varieties. 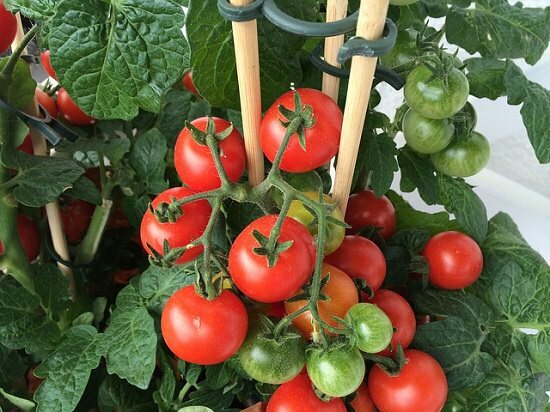 If you believe staking is time-consuming and tiring and want to avoid it, choose compact determinate varieties and grow your tomatoes in a dry area. Staking helps the plants produce better fruits and remain healthy. Plants stay upright, more exposed to the sun, and as a result, the harvest is more bountiful. Staking increases the airflow around the plants, which makes them less disease prone. Also, staked tomatoes are easy to prune and primp (removing suckers). Pruned tomato plants emphasize most of their energy and minerals to the fruits. Since staking makes the plants grow vertically, it saves a lot of gardening space. You can plant twice as much tomato plants in the same space. In the end, staked tomato plants are easy to harvest. Fruits are easily accessible and unspoiled. 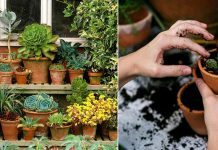 Previous articleStrange Ways To Use 30 Most Common Household Things In Your Garden!